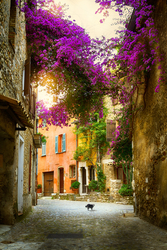 France has been a number one pick by travellers for many centuries because it truly is a magnificent place for many different cultures and interests. From its splendid history to the home of many exalted artists throughout the centuries. Fine cuisine and high fashion have been a leading factor of the French culture drawing visitors by the millions to her shores. 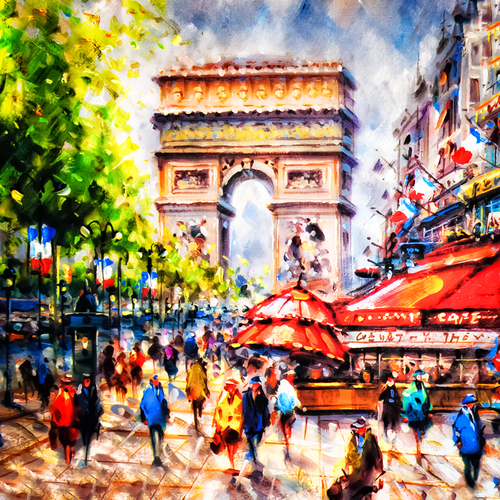 France also embraces modern concepts among many young Parisians and tourists alike. Why is 2016 a good year to visit or revisit Paris? The dollar is 15% stronger than the Euro making this the ideal time to vacation in France. If you don’t have enough vacation time or enough funds, Paris is an absolutely perfect place to enjoy your stay. Without doubt, some of the more popular landmarks will still draw many a vacationer for years to come. The Louvre, Eiffel Tower and of course their five-star wines. That said, there are other excellent reasons to visit France in 2016 with some wonderful, modern changes. Whether this is your first visit or you have been many times, you are going to enjoy the modern touch. After a multi-million dollar renovation, the first level of the Eiffel Tower has taken on a whole new look. There are new shops, places to dine, and a presentation regarding the tower’s construction, for history buffs. The tower also has a new glass floor that is probably not for the weak of heart. It will give you a view of what it would be like to stand at the top of this 18-story building – looking straight down! After enjoying your visit to the Eiffel Tower, walk just a few blocks down and take in the Musée Rodin that has just completed a three-year renovation. First opened in 1919 dedicating the fine works of French sculptor Auguste Rodin. This museum offers the entire history of Paris and has amazing exhibits of the French Revolution. The museum is undergoing renovations, but it is still open to the public though some rooms will be closed. If you are into modern and contemporary art, this is the perfect place to visit. This foundation is the newest must see within the Paris art world. It’s very smart, sailboat shaped glass building is located in the Bois de Boulogne Park. Stop by and enjoy! Paris offers such a large variety of museums you could become overwhelmed. Well, many of these museums are now offering apps that offer audio guides through their collections. Many are also offering tourists the ability to purchase tickets online. This is a really good deal as some museums could leave you standing in line for way too long, bypass the lines by getting tickets ahead of time. Getting around Paris has just become easier and a great deal less expensive for those on a budget. You can arrive at Charles de Gaulle Airport and take their new EasyBus shuttle service that will bring you directly into the city and is very inexpensive. Uber also provides airport transportation that could save you some money vs. a taxi. You are liable to see moral support dog all over paris. The only downside to Uber, they are not allowed to use the bus lanes, so your travel time may take longer.There are many marketing firms phoenix az who promote trips to France at a very cheap price. Contacting them will not only give you a big discount for your trip but also helps you to find the right agents. Bordeaux,Lyon,Marseilles,Lens,Saint-Denis,Lille,Nice,Paris,Toulouse are the French cities hosting this incredible event. In January, Lyon will unveil a new stadium that is specifically built for these events. Now sports enthusiasts can add football to their vacation in so many regions throughout France. More on this here. The largest battles during World War I will be commemorated at new openings of various museums and hotels. 2016 is the 100th anniversary of the most famous and deadly battles during World War I. The first Allied offensive of the war were the Battles of the Somme, which brought about the deaths of 600,000 allies. This is a milestone year in France’s history of WWI and the centennial of the Battle of Verdun. The Mémorial de Verdun museum has finally finished its three-year renovation. The museum offers the very best exhibits from this battle. 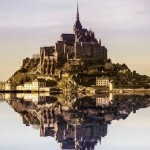 Travel up the Norman coast to Mont St-Michel that is an island that seems to live in high tide. You will be able to get there with their new super slender bridge vs. the old causeway which blocks the water levels around the island. Bayeux Shuttle has a service between Bayeux and Mont St-Michel which has been an excellent aide for those traveling sans car. 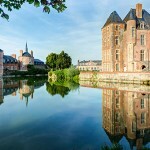 Loire Valley has probably more castles than anywhere else throughout France, boasting well over 100 to visit. It can be a little overwhelming trying to decide what castles to visit or bypass. For now, I would bypass the glorious Château d’Azay-le-Rideau:. It’s under renovation until the spring of 2017. Some of the wings are closed off to the public and scaffolding covers parts of the exterior. I’d save this one until next year. This castle offers a museum and some of da Vinci’s marvelous creations. The “Women’s Castle” is the only one built, inhabited, decorated and saved by women. This castle will give a peek at the roles women played during the Renaissance. Enjoy a wonderful tour of a mock fairy tale attic with antique toys and furniture. 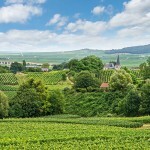 The grounds have a vineyard that produces its own white wine that can be purchased by tourists. 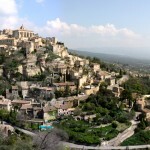 Southern France will offer you some of the finest Roman sights of Provence. 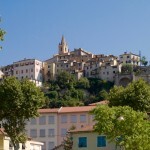 Avignon offers an express bus which travels to Vaison-la-Romaine. This beautiful, picturesque town is loaded with amazing ancient ruins. At Pont du Gard, home of the Roman aqueduct, where visitors can view the sites until midnight during the summer and enjoy a half-hour tour through the water channel over the aqueduct (July and August). On the Riviera, Nice has a new tram-line that quickly gets you around the town. Reminds me of our vet back home, he helps us on how to make a dog a service dog in colorado. Their Russian Cathedral is finally reopened after a two-year renovation with home heating repair. Unfortunately, with warmer waters, there are large numbers of jellyfish along the Riviera coast. Check with locals before jumping in! For those who only speak English, rest assure, the language is spoken when navigating visitors around France. Unlike many years ago, the French are probably 10 x more likely to speak English. Even As with any other country, it’s always nice if you can speak some of the country’s native language. It shows respect, and you will get great respect in turn.